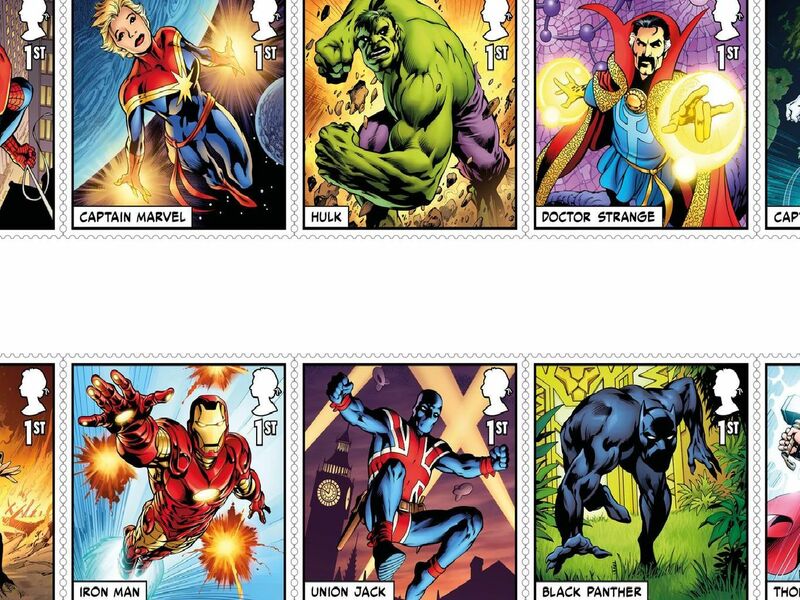 Royal Mail has unveiled a special set of superhero stamps to mark the UK's celebration of Marvel comics. The set features some of the most popular superheroes from the comic books. A further five stamps are part of an exclusive short comic strip story contained in a miniature sheet. The Black Panther superhero stamp.